Item: GIFTCERTIFICATE added to cart! 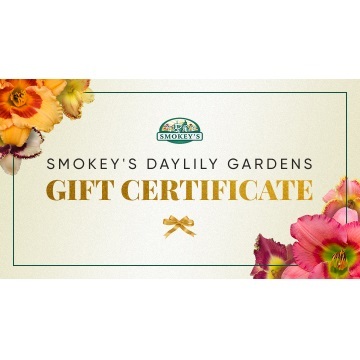 Gift certificates are redeemable on SmokeysDaylilyGardens.com upon checking out. You will receive a Gift Certificate code in your email upon purchase. No physical gift certificate is mailed, you will simply receive a gift certificate code in your email.